Ruth Plant, architect, said, "The craftsmen who formed them were as inventive as those who built Europe's medieval cathedrals. 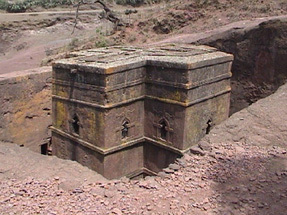 The rock-hewn churches were cut from the roof down - they could not afford mistakes. Not one!"